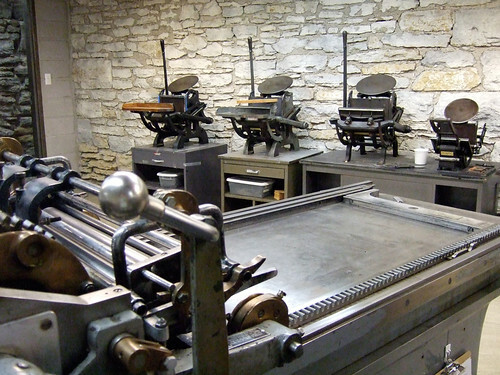 This letterpress-centred workshop in a bookish building in Minneapolis is well resourced, well kept and polished by use. 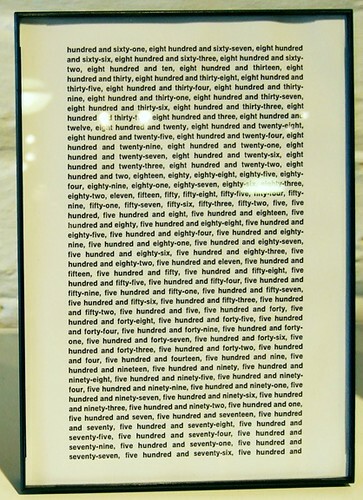 ‘Quantified Aesthetics’, a loan exhibition which has just closed there, was pegged loosely to a theme of numbers; the work in it that most caught the eye was not printed by letterpress, however. 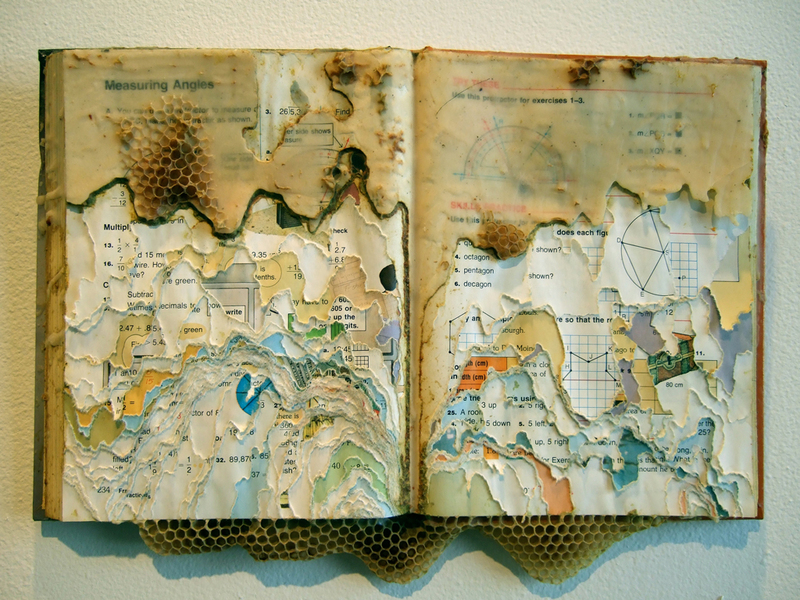 Jeff Millikan, a Minneapolis local, has induced bees to intervene in the pages of books he himself has already interfered with (‘Math Reminded Her of Nature’, 2010 - top). It’s a fine collaboration, though you have the feeling that wasps might in some respects have been more obliging, being paper-chewers themselves. 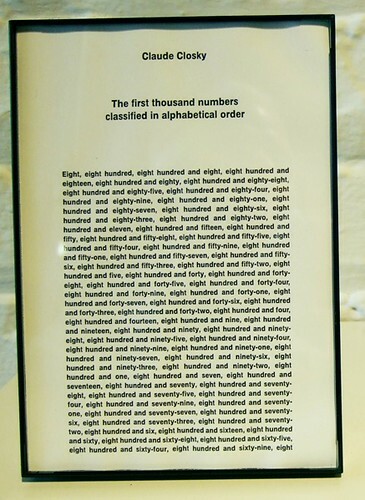 A long row of panes by Claude Closky entitled ‘The First Thousand Numbers Classified in Alphabetical Order’ (1989 - above), on the face of it a brute keyboarding marathon, is a nice mash-up of logical systems. Who'd have thought the third number would be 808? What would this sequence look like set in numerals? And could you – did he – write an algorithm to do all the work? It’s said to be available as a downloadable pdf file, though actually finding it seems to be part of the experience. The space the Center for Book Arts occupies has been beautifully converted from a building about the same age as the St Bride Institute in London – where plans are also being hatched to create open workshop facilities – and the work produced at MCBA is evidently done with intelligence, finely set and printed and bound. But there can be a sort of gentility in studio practice of this kind that doesn’t really scratch the skin of technique and get under it. 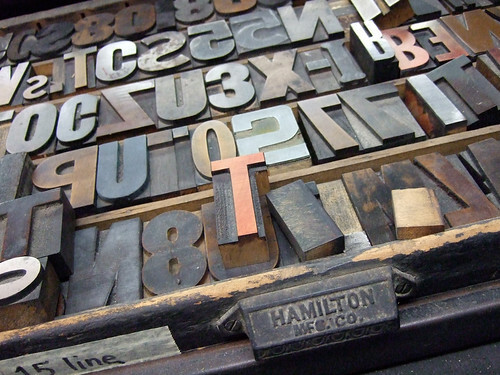 Singular ideas and tenacious purpose seem mostly to inhabit more solitary basements; sometimes with a Vandercook (see, for example, Ken Campbell who latterly preferred a FAG press), but now mostly not. It’s probably happening somewhere though: an obsessive provoked by lead and grease and white paper to invent something that wasn’t there before. 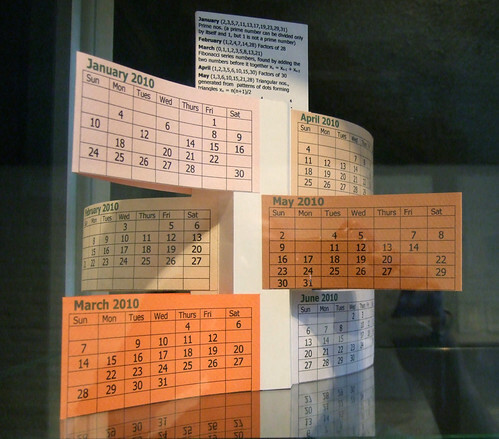 For details of Minnesota Center for Book Arts, visit mnbookarts.org. Eye magazine is available from all good design bookshops and at the online Eye shop, where you can order subscriptions, single issues and back issues. The summer issue, Eye 76, is a music special. You can read a selection of pages on Eye Before You Buy on Issuu. Student subscriptions are half price, bit.ly/EyeStudentOffer.